July 10, 2013, 10:41 a.m.
Montclair State’s Center for Cooperative Media is betting there are returns on getting newspapers, broadcasters, bloggers, and wire services all in the same building. By Jan Schaffer @janjlab July 10, 2013, 10:41 a.m.
Editor’s note: Our friends at J-Lab have a new report out on an interesting subject: how public broadcasters — in radio and television — are trying to fill some of the void created by cutbacks at newspapers. In a number of states, the strategy has been to build new collaborative networks and make a greater investment in doing journalism. You can read the full report online, but we’ll be pulling out some of the most interesting elements from it here at Nieman Lab over the next few days. Today, we look at New Jersey, where a university-based collaborative is bringing together many of the state’s news outlets big and small. The germ of the idea came at a 2011 meeting in Newark. What was going to happen to news coverage once Gov. Chris Christie spun off the state-owned New Jersey Network (NJN) of radio and television stations? That idea, recalls media blogger and critic Jeff Jarvis, sprung from Debbie Galant, the queen of hyperlocal news startups who’d founded Baristanet.com a decade ago in Montclair. The notion germinated for a year and took firm root at Montclair State University (MSU). Last July, Galant was hired to lead the New Jersey News Commons with a goal of helping the state’s legacy and hyperlocal news outlets develop and share stories, get training, and grow the ecosystem. The Commons is now aggregating content from more than 50 local news partners. Bigger plans are afoot. The Commons is one part of MSU’s Center for Cooperative Media, a unique initiative at the School of Media and Communication. 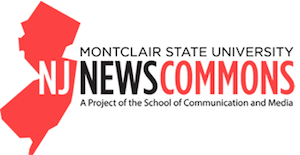 While many journalism schools are innovating around news entrepreneurship, Montclair State has gone in a new direction. In the past year, it’s created an actual bricks-and-mortar hub with office space and production facilities for New Jersey news outlets, including all its public broadcasters. NJTV Public Media New Jersey and WNYC’s New Jersey Public Radio have on-campus bureaus in a new university facility. They’re joined by a half dozen other news organizations. MSU offered NJTV a New Jersey studio and newsroom space at a cut-rate price. NJTV now has a 25-person operation that produces, with student help, a newscast five nights a week in the school’s new production studios. New Jersey Public Radio — acquired in the NJN split up by WNYC’s parent, New York Public Radio — has space for a two-person bureau at the school — its first office outside of New York City. MSU also has offices for the New Jersey sites of AOL’s Patch.com; NJSpotlight.com, a public issues news site; North Jersey Media group, which includes The (Bergen) Record; NJ.com, a digital alliance of 12 newspapers in the state; and WBGO, a noted Newark-based news and jazz station. Reuters has signed on to use the university newsroom in regional emergencies. The Commons has also launched content sharing via Repost.us, which allows a pre-approved list of publishers to republish complete articles, including images, links, and multimedia. Repost also picks up any content updates within 10 minutes of any changes. “I think the proudest accomplishment of the Commons is the establishment of the Repost.us network,” Jarvis said. But its other goals are to grow and support the news ecosystem and improve the quality of the journalism. Leading the charge for all this activity is the Geraldine R. Dodge Foundation. Other foundations, such as the Knight, Wyncote, and Patterson foundations and the Community Foundation of New Jersey have also stepped up. Grants have funded new production studios at the university, training, and collaborative reporting efforts, including around the aftermath of Hurricane Sandy. In WNYC’s eyes, “it’s a good business proposition,” Schachter said. WNYC bought four North Jersey public-radio stations in the NJN split-up. The following year, WNYC began ratcheting up its news-reporting capacity. Now, about 30 percent of WNYC’s audience is in New Jersey, and Schachter said there might be another bureau soon in Trenton, the state capitol. “We are investing substantially in journalists to cover New Jersey in an enterprising way,” he said. WNYC already has reporting partnerships with New Jersey Spotlight and The Record, flagship of the North Jersey Media Group. Schachter said he’d like to see public media playing a leadership role. “We need to focus on enterprise reporting that is not being done elsewhere,” he said. True to the state’s pattern of being shoehorned in between the New York City and Philadelphia media markets, the successful bidders for the NJN licenses were public broadcasters from those two cities. At the time, Montclair State also tried to bid on some of the properties, but lost out to WNYC. WHYY in Philadelphia purchased five stations serving South Jersey. WNET won the state’s public TV licenses and began developing NJTV. There were, however, assurances that the new owners would not be carpetbaggers. “I said, ‘No, no, you don’t really want to [operate] a public broadcaster,'” said Jarvis, who was consulting with MSU. “But you can have a relationship with them. In fact, they need you.” That paved the way for NJTV to be housed at MSU. He signed on knowing the university had big plans: The university will build a new building for the school in the next few years and Brown said he expected to launch a journalism major (it’s now a minor) in fall 2014. He says he’s up for the challenge of building that program “from scratch.” For now, he’s strategically meeting with people in Montclair and Manhattan to develop donors. He acknowledges that raising money to fund the Montclair media hub will be a challenge. “A lot of people think media are in decline,” he said. So far, no Philadelphia news outlets have an office at the university; however, WHYY’s NewsWorks.org is one of the Commons partners. 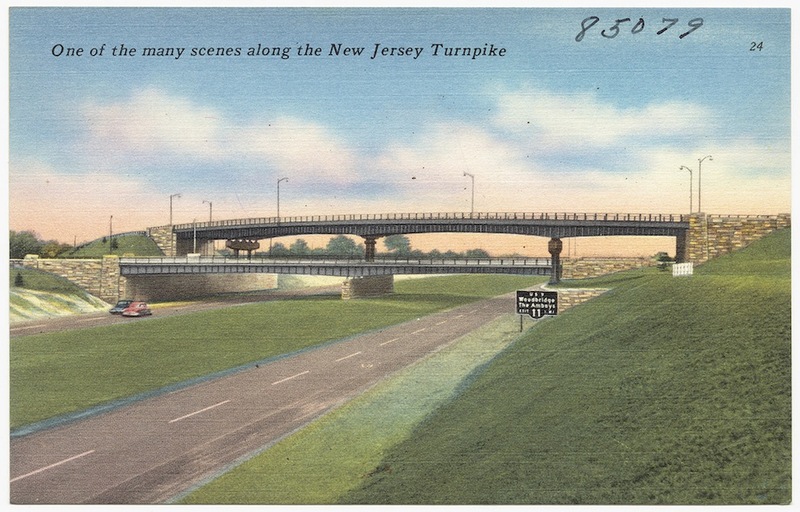 Photo of New Jersey Turnpike postcard by Boston Public Library used under a Creative Commons license. POSTED July 10, 2013, 10:41 a.m.
Schaffer, Jan. "In New Jersey, a university teams up with local news orgs to collaborate for impact." Nieman Journalism Lab. Nieman Foundation for Journalism at Harvard, 10 Jul. 2013. Web. 24 Apr. 2019. Schaffer, Jan. "In New Jersey, a university teams up with local news orgs to collaborate for impact." Nieman Journalism Lab. Last modified July 10, 2013. Accessed April 24, 2019. https://www.niemanlab.org/2013/07/in-new-jersey-a-university-teams-up-with-local-news-orgs-to-collaborate-for-impact/.